1) Translationum is a list of books translated in the world, or in other words an international bibliography of translations. Translationum was created in 1932 by the League of Nations, and references registered before 1979 can be found in the printed editions of the Index Translationum (available in all National depository libraries and at the UNESCO library in Paris). In 1979 records were computerised and the modern database is regularly updated. 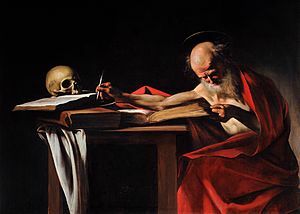 It contains bibliographical information on books translated and published in about one hundred UNESCO member states, and now totals more than 2 million entries in all areas: literature, natural and exact sciences, social and human sciences, history, art, etc. International cooperation has made the “Index Translationum” unique. Every year the national libraries or bibliography centres in participating countries send bibliographical data on translated books in all fields of knowledge to UNESCO (periodicals, articles from periodicals, patents and brochures are not included). Index Translationum celebrated its 80th anniversary in 2012 and on that occasion a debate on its usefulness and future was held at UNESCO’s headquarters. According to the Index the 10 most translated authors are currently: Agatha Christie, Jules Verne, Shakespeare, Enid Blyton, Barbara Cartland, Danielle Steel, Lenin, Hans Christian Andersen, Stephen King, and Jacob Grimm. The 10 countries publishing the most translations are: Germany, Spain, France, Japan, USSR (to 1991), Netherlands, Poland, Sweden, Denmark and China. The top 10 target languages are: German, French, Spanish, English, Japanese, Dutch, Russian, Portuguese, Polish, Swedish, and the top 10 source languages are: English, French, German, Russian, Italian, Spanish, Swedish, Japanese, Danish and Latin. Many other statistics are available here. So for example if you want to know if such and such an author has already been translated, and if so into which languages, Translationum is the place to go! In this UNESCO compilation of the most translated authors, the size of the last name corresponds to the number of translations (listed below name). Colour indicates language of original publication. 2) The second resource, also from UNESCO, is their Collection of Representative Works, also known as the Catalogue of Representative Works. This was a direct subsidy translation programme active for about 57 years from 1948 until 2005 when funding stopped. In order to increase cultural understanding and cooperation the aim was to encourage translation, publication and distribution of world literary and cultural masterpieces, primarily from a lesser known language into a more international one such as English and/or French. There are 1060 works in the catalogue from about 80 countries and over 100 languages, around fifty of which were Oriental, twenty European, and several languages and literatures from Oceania and Africa. Some works were also translated into lesser known languages, such as Urdu into Hungarian, or Japanese into Indonesian. 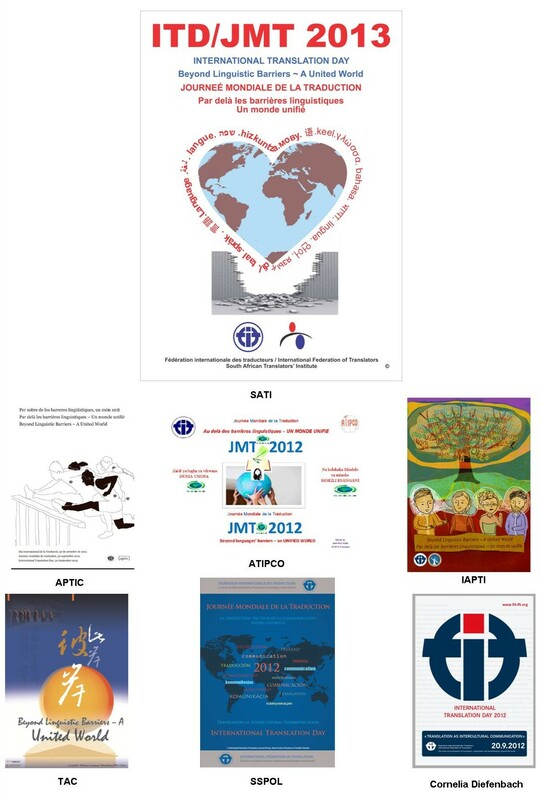 Although UNESCO financed the translations and publications, it was not the publisher – books were published as co-editions with publishers from all over the world. The major languages that texts have been translated into, with the number of works translated into that language, are: English (455), French (450), Spanish (71), Arabic (38), and German (25). Authors with a significant number of translations include: Natsume Soseki (11), Yasunari Kawabata (9), Rumi (8), Julio Cortázar (7), Rabindranath Tagore (7), Yukio Mishima (5), and Mohammad Iqbal (5). Thanks to UNESCO’s efforts – and, of course, to the translators who make it all possible – ideas, information, beliefs and customs can thus be shared around the world. Index Translationum homepage (website available in English, French and Spanish). UNESCO Collection of Representative Works homepage (website available in English, French and Spanish). UNESCO Courier – Treasures of World Literature – A library of World Classics – a 36-page PDF dating from January 1986. A reference by Catherine Jan on Facebook to ‘Canadian bacon‘ being unknown as such in Canada got me thinking about misnamed food – food that is named after a place but actually has little or nothing to do with that same place. For example I grew up hearing the term ‘Swiss muesli’, but when I visited that country as a 15-year-old I was surprised to learn that local muesli was pretty different to what I’d grown up with! Here’s a list of ‘misnamed’ food I’ve come up with – feel free to add more you may know of in the comments below. Afghan biscuit – a New Zealand biscuit made from flour, butter, cornflakes, sugar and cocoa powder, topped with chocolate icing and a half walnut; the derivation of the name is unknown. French toast – this combination of bread, eggs, and milk is known as “pain perdu” in France and many other French-speaking countries. 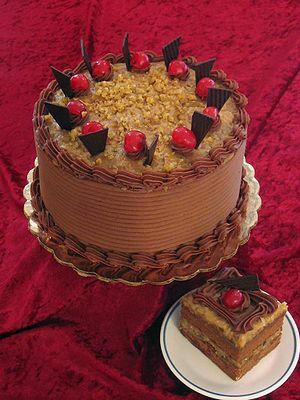 German chocolate cake – originally known as “German’s Chocolate Cake” because the recipe used (American) Sam German’s baking chocolate, at some point the apostrophe and “s” were dropped leaving just “German Chocolate Cake”. Jerusalem artichoke – an edible plant native to North America and wrongly associated with Jerusalem, perhaps because in Italian the plant, which resembles a sunflower was called Girasole Articiocco (“sunflower artichoke”). London broil – a North American creation, this beef dish is grilled or broiled marinated steak , which is then sliced across the grain into thin strips. The origins of the name are unclear, but as a native Londoner I can confirm I’d never heard of this dish until very recently! Moon Pie – in 1917 a bakery salesman from the Chattanooga Bakery visited a shop that catered to Tennessee coal miners where the miners said they needed a solid, filling snack to munch on when they couldn’t stop for lunch. When the salesman asked how big it should be, a miner framed the moon with his hands. Thus the result earned its name. Mongolian beef – a dish served in Chinese-American restaurants; aside from the beef, none of the ingredients or the preparation methods are drawn from traditional Mongolian cuisine. Spanish rice – a side dish made from white rice and other ingredients, and a part of Southwestern U.S. cuisine. The name is not used in either Spain or Mexico. Swiss roll – this rolled cake originates from Central Europe, but not Switzerland as the name would suggest. The Baked Alaska was so named to celebrate the purchase of the Alaska territory when this dessert was created at a New York City restaurant in 1876. 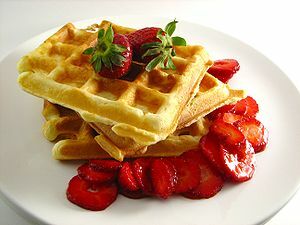 A Belgian waffle is a particular kind of waffle in North America, however no single type of waffle is identified as a ‘Belgian Waffle’ within Belgium itself, where there are a number of different varieties, including the Brussels waffle, the Liège waffle and the stroopwafel. What is known in North America as the ‘Belgian waffle’ does not exist in Belgium. Bombay duck, despite its name is actually a kind of fish dish, although it does originate from the Mumbai region, where it is known as “Bombil fry“. Brazil nuts – while the tree, Bertholletia excelsa, that produces these nuts can be found in Brazil, it’s native to all South American countries, and it’s Bolivia that produces the most of them. 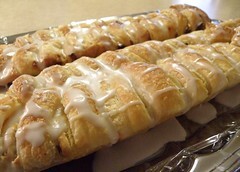 The Danish pastry is actually of Viennese origin. In Denmark, Iceland and other Scandanvian countries it is called “wienerbrød” (literally “Viennese bread”), and in Vienna it is referred to as “Plundergebäck” or “Golatschen“! Greek yoghurt is strained yoghurt, but in Greece yoghurt is typically not strained. Jaffa cakes (actually a kind of biscuit!) take their name from the Jaffa oranges used to make them, not directly from the Israeli city. The root vegetable swede is actually known as kålrot (literally “cabbage/kale root”) in Sweden. On a final note, living in a French-speaking country I’ve sometimes been asked in French if I want some “cake” or “pudding” [sic]. Over the years I’ve come to know that these refer to specific cakes and a dessert in French cuisine, but at first I was rather taken aback by the use of the generic wide-ranging English term for something that actually turned out to be quite specific. P.S. From 22-24 May 2014 the Department of Interpreting and Translation (DIT) of the University of Bologna will hold the First International Conference on Food and Culture in Translation. It will take place in Bertinoro, a tiny hamlet above the town of Forlimpopoli, home to the 19th century Italian food critic, food guru and gourmet, Pellegrino Artusi, author of the book: The Science of Cooking and the Art of Eating Well. You can read more about the conference here.